Manufacturer of a wide range of products which include marble tulsi stand. Backed by a team of dexterous professionals, we have been able to offer our customers Marble Tulsi Stand, which can be availed by our customers at industry leading prices. 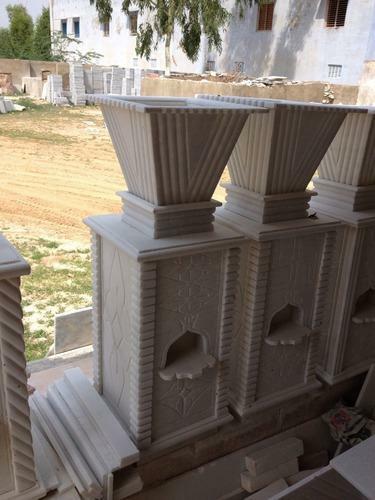 Beautiful and intricate carvings, these products are developed by making use of quality-approved marble and basic material that is obtained from the accredited vendors of the industry. Further, the product offered by us is known for attractive designs, superior finish and smooth edges. Looking for “Marble Tulsi Stand”?